I had a great first day with the Cuties yesterday and can't wait for some fun pool time with them today! 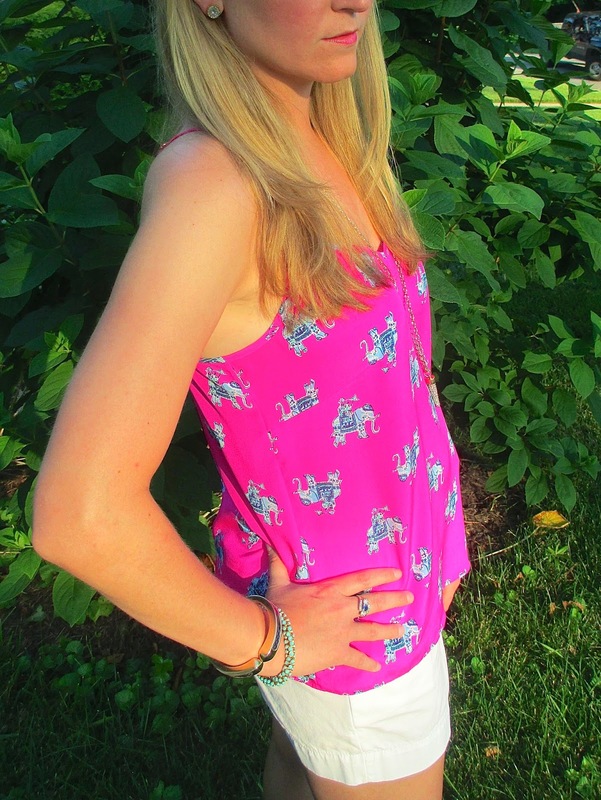 On the last day of school, I bought myself a Lilly Pulitzer top as a Happy Summer present. Well friends, since buying it a little over a week ago, I think I have worn the shirt on three separate occasions! It has instantly become a favorite! It was also one of your recent favorites on Instagram, so I thought I would give you a closer look! 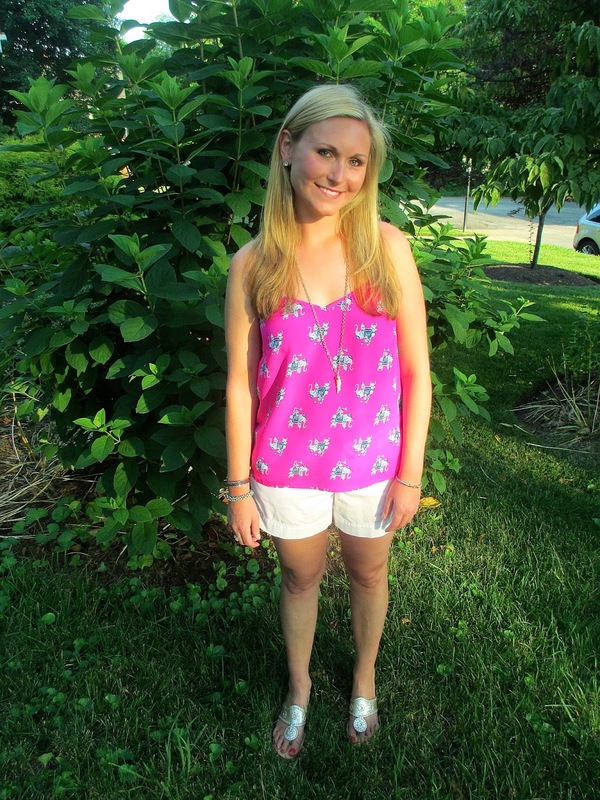 I paired the top with my favorite summer shorts, Lilly Callahans! 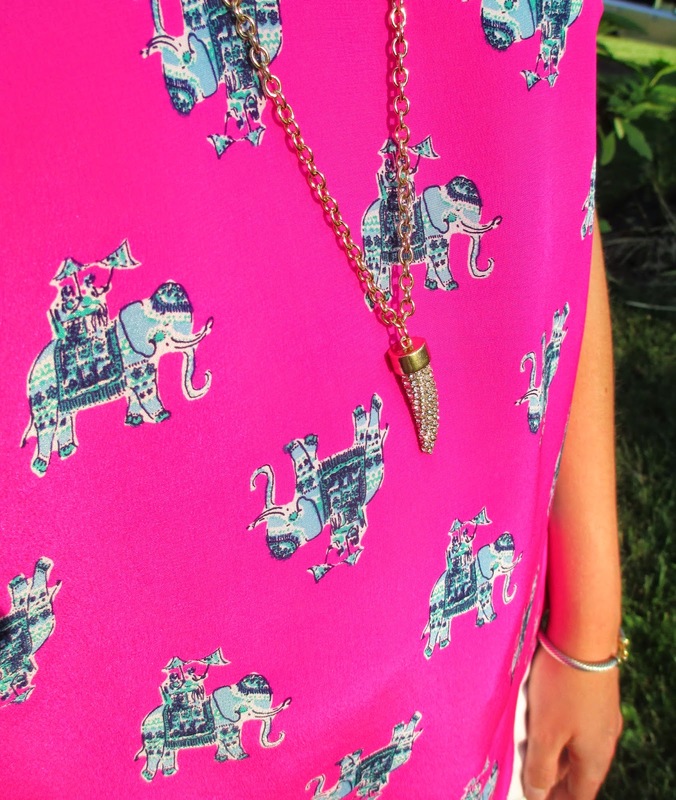 I love the detailing of the elephants and thought this tusk necklace was an appropriate accessory! I also have worn this necklace with almost every outfit since buying it, as well! I can't find it online, but found similar ones here and here! These platinum Jack Rogers wedges have also proven to go with everything! Also worth mentioning is that the top has a great racerback that I failed to photograph! To shop the look and see some similar favorites, browse below! Have you treated yourself to anything lately? Love this! So perfect for summer. I ordered an end of the school year gift for myself as well. No shame - we've earned it! Absolutely obsessed with this top! I'm thinking I may have to go for the Elsa in this print...how cute would it look with dark skinny jeans and Tory flats in the beginning of fall?! Obsessed! Loving the elephants! Gorgeous as always, xo! Love love! I'm going over to Belk at lunch and I must check this out! From afar the print almost looks floral, so I'm so glad you showed the cute details and how it is elephant print. Love!! platinum jacks literally do match everything! 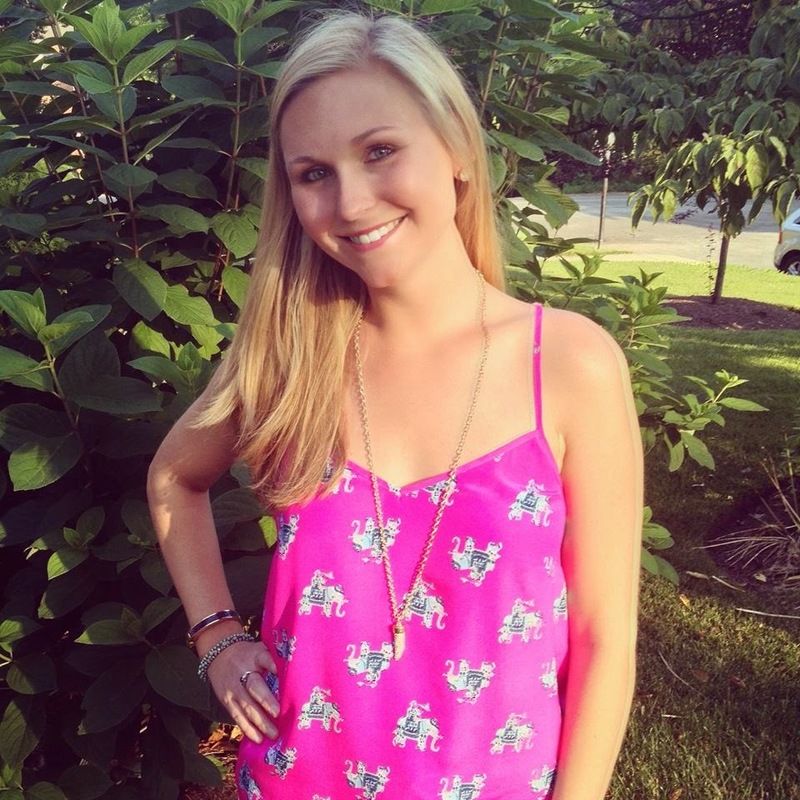 I loooove, love love that top Allie!!! It's so gorgeous! Love this and you styled it perfectly!! I adore this! So perfect and pretty!